Additional Information EFFICIENCY PRODUCTION! 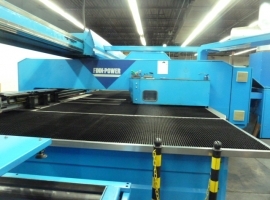 We got to pass ksemme punch press Finn-Power SG -97. The machine is called. 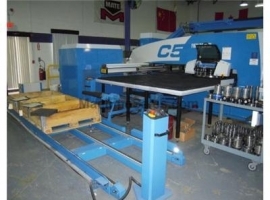 corner cutter machine. Plate Size 1500x3000mm Engine hours only approx. 26 000h. The machine is made of the annual maintenance time by Finn-Power. The machine mm - Loading and unloading device - Trapdoor songs - tools - Multitool stations - a waste conveyor and the like. 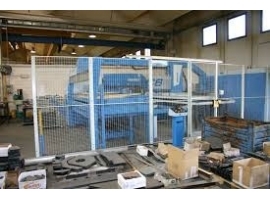 The machine is ideally suited for the production of which is for long cutting lengths (angle cutter function). NOTE. The machine on display in working order until 21.10.